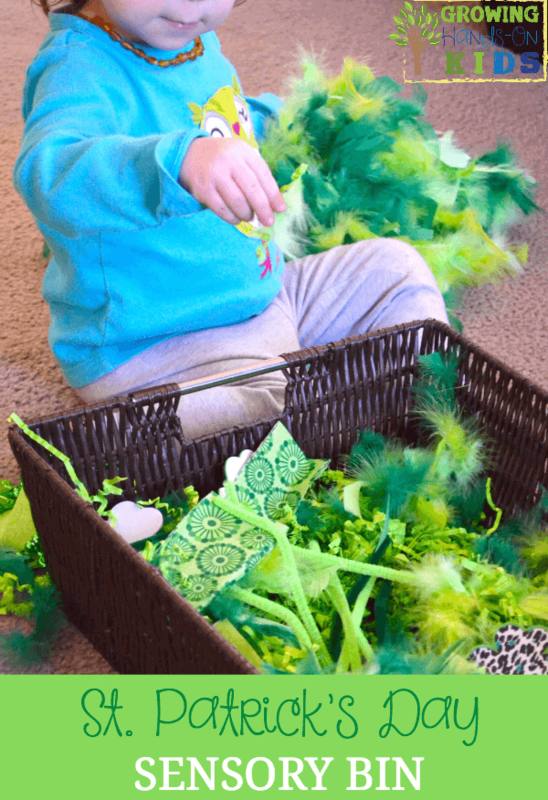 I have been wanting to make a new sensory bin for E, so I decided to do a themed St. Patrick’s Day sensory bin for her. We made a trip to Hobby Lobby to get some supplies since I don’t have a lot of St. Patrick’s Day items. They were having a 30% off sale of all their St. Patrick’s Day items so I was able to get everything I needed for less than $30 (I actually purchased some Easter sensory items as well). 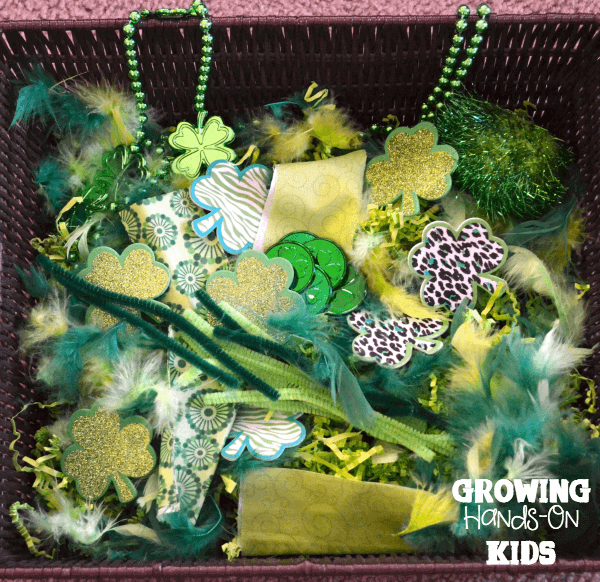 For the basket, I used a magazine wicker basket that I have been using in our bookcase to make little task baskets and other learning activities for E. I also used green paper grass that you typically use for easter baskets as the base. I also cut the feather garland into medium size clumps and placed them around as the base. For the strips of fabric I bought a small bundle of scrap fabric and then cut it into strips. I liked all the different green designs this bundle had and it fit my theme perfectly. Then I scattered all of the other items around the basket and let her go to town with it. The beaded necklaces were a huge hit. She carried them around the house for quite a while. If you have small children who may put these things in their mouths, then leave out the bead necklace and the green coins. The coins I picked out where larger sized too so if you can find some that are larger then that is your best option. This could easily be made for babies who are under 1 year old and be safe for them to play with. 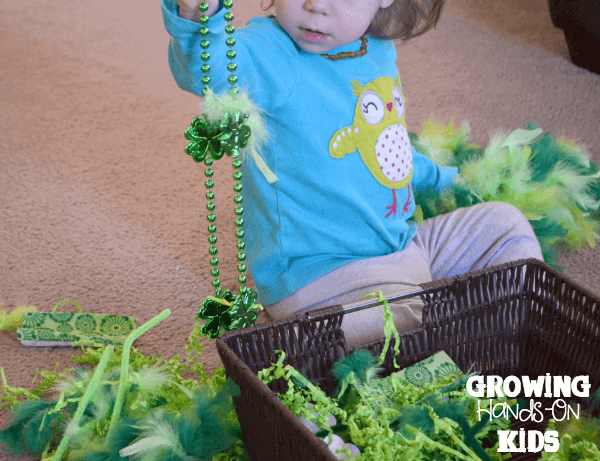 For more sensory and fine motor ideas, check out my 20 St. Patrick’s Day Fine Motor & Sensory Activities for Kids.